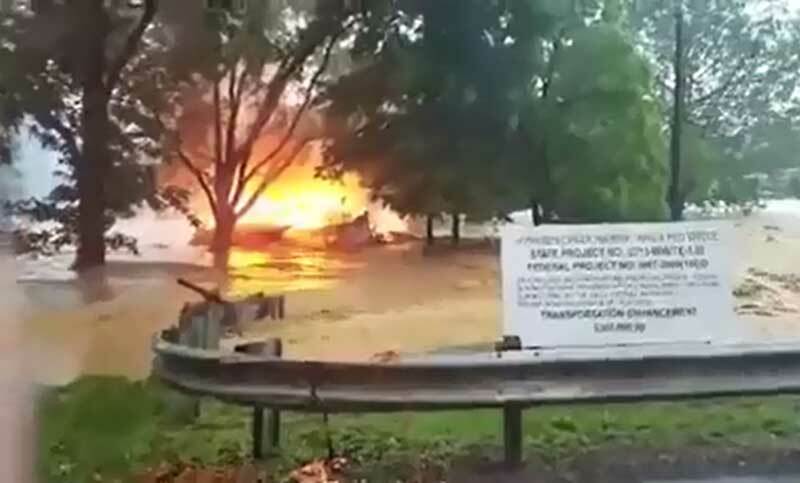 A house burning ferociously was washed away in floodwaters on Thursday afternoon in the worst floods to hit West Virginia in a century. Amanda Carper posted the video to Facebook with the message: "Please everyone pray!!! We are stuck in the car with our precious dogs". 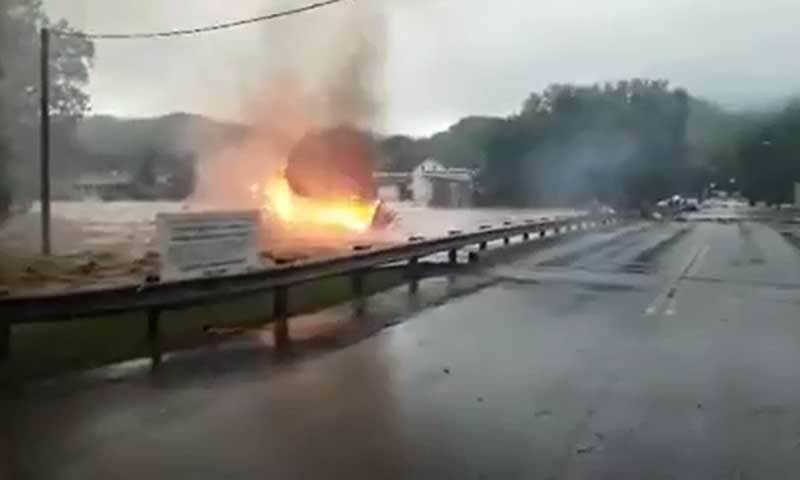 The flaming house brushed past trees before colliding with a bridge in White Sulphur Springs. "Please pray for our neighbours. They are trapped in their attic with small children," Ms Carper added. "Our other neighbours are on their kitchen counter." Ms Carper later wrote that she is now safe at a friend's home. YouTube link. Amanda Carper's original Facebook video. At least 20 people have died in the flooding, and hundreds more rescued from homes filling up with water. National Weather Service meteorologist Frank Pereira said West Virginia had received a quarter of its annual rainfall in a single day. The irony--but what a terrible double whammy tragedy!